When it comes to achieving a healthy balance in your law practice and personal life, the right mindset can make a big difference. Read the News. Work-Life Balance – Walking the Talk? Is it possible to have a good work-life balance when lawyers work long hours? Read the Story. Law is a prestigious and remunerative profession, and law school classrooms are full of fresh candidates. In a recent poll, however, 52% of practicing lawyers describe themselves as dissatisfied. Certainly, the problem is not financial. As of 1999, associates at top firms could earn up to $200,000 per year just starting out, and lawyers long ago surpassed doctors as the highest-paid professionals. In addition to being disenchanted, lawyers are in remarkably poor mental health. They are at much greater risk than the general population for depression. 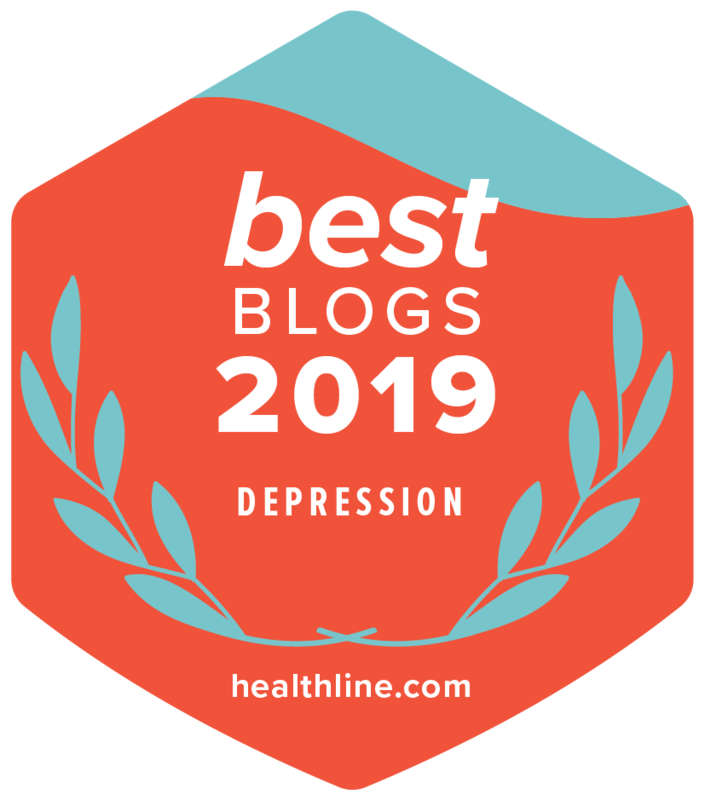 Researchers at John Hopkins University found statistically significant elevations of major depressive disorder in only 3 of 104 occupations surveyed. 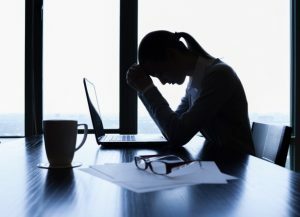 When adjusted for sociodemographics, lawyers topped the list, suffering from depression at a rate of 3.6 times higher than employed persons generally. Lawyers also suffer from alcoholism and illegal drug use at rates far higher than nonlawyers. The divorce rate among lawyers, especially women, also appears to be higher than the divorce rate among other professionals. Thus, by any measure, lawyers embody the paradox of money losing its hold. They are the best-paid professionals, and yet they are disproportionately unhappy and unhealthy. And lawyers know it; many are retiring early or leaving the profession altogether. Positive Psychology sees three principal causes of the demoralization among lawyers. First is pessimism, defined not in the colloquial sense (seeing the glass as half empty) but rather as the pessimistic explanatory style. These pessimists tend to attribute the causes of negative events as stable and global factors (“It’s going to last forever, and it’s going to undermine everything.”). The pessimist views bad events as pervasive, permanent, and uncontrollable, while the optimist sees them as local, temporary and changeable. Pessimism is maladaptive in most endeavors: Pessimistic life insurance agents sell less and drop out sooner than optimistic agents. Pessimistic undergraduates get lower grades, relative to their SAT scores and past academic record, than optimistic students. Pessimistic swimmers have more substandard times and bounce back from poor efforts worse than do optimistic swimmers. Pessimistic pitchers and hitters do worse in close games than optimistic pitchers and hitters. Pessimistic NBA teams lose to the point spread more often than optimistic teams. Thus, pessimists are losers on many fronts. But there is one glaring exception: Pessimists do better at law. We tested the entire entering class of the Virginia Law School in 1990 with a variant of the optimism-pessimism test. These students were then followed throughout the three years of law school. In sharp contrast with the results of prior studies in other realms of life, the pessimistic law students on average fared better than their optimistic peers. Specifically, the pessimist outperformed more optimistic students on the traditional measures of achievement, such as grade point averages and law journal success. Pessimism is seen as a plus among lawyers because seeing troubles as pervasive and permanent is a component of what the law profession deems prudence. A prudent perspective enables a good lawyer to see every conceivable snare and catastrophe that might occur in any transaction. The ability to anticipate the whole range of problems and betrayals that non-lawyers are blind to is highly adaptive for the practicing lawyer who can, by so doing, help his clients defend against these far-fetched eventualities. If you don’t have this prudence to begin with, law school will seek to teach it to you. Unfortunately, though, a trait that makes you good at your profession does not always make you a happy human being. Sandra is a well-known East Coast psychotherapist who is, I think, a white witch. She has one skill that I have never seen in any other diagnostician: She can predict schizophrenia in preschoolers. Schizophrenia is a disorder that does not become manifest until after puberty, but since it is partly genetic, families who have experienced schizophrenia are very concerned about which of their children will come down with it. It would be enormously useful to know which children are particularly vulnerable because all manner of protective, social and cognitive skills might be tried to immunize the vulnerable child. Families from all over the eastern United States send Sandra their 4-year-olds; she spends an hour with each of them and makes an assessment of the child’s future likelihood of schizophrenia, an assessment that is widely thought of as uncannily accurate. This skill of seeing the underside of innocent behavior is super for Sandra’s work, but not for the rest of her life. Going out to dinner with her is an ordeal. The only thing she can usually see is the underside of the meal – people chewing. Whatever witchy skill enables Sandra to see so acutely the underside of the innocent-looking behavior of a 4-year-old does not get turned off during dinner, and it prevents her from thoroughly enjoying normal adults in normal society. Lawyers, likewise, can not easily turn off their character trait of prudence (or pessimism) when they leave the office. Lawyers who can see clearly how badly things might turn out for their clients can also see clearly how badly things might turn out for themselves. Pessimistic lawyers are more likely to believe they will not make partner, that their profession is a racket, that their spouse is unfaithful, or that the economy is headed for disaster much more readily than will optimistic persons. In this manner, pessimism that is adaptive in the profession brings in its wake a very high risk of depression in personal life. The challenge, often unmet, is to remain prudent and yet contain this tendency outside the practice of law. 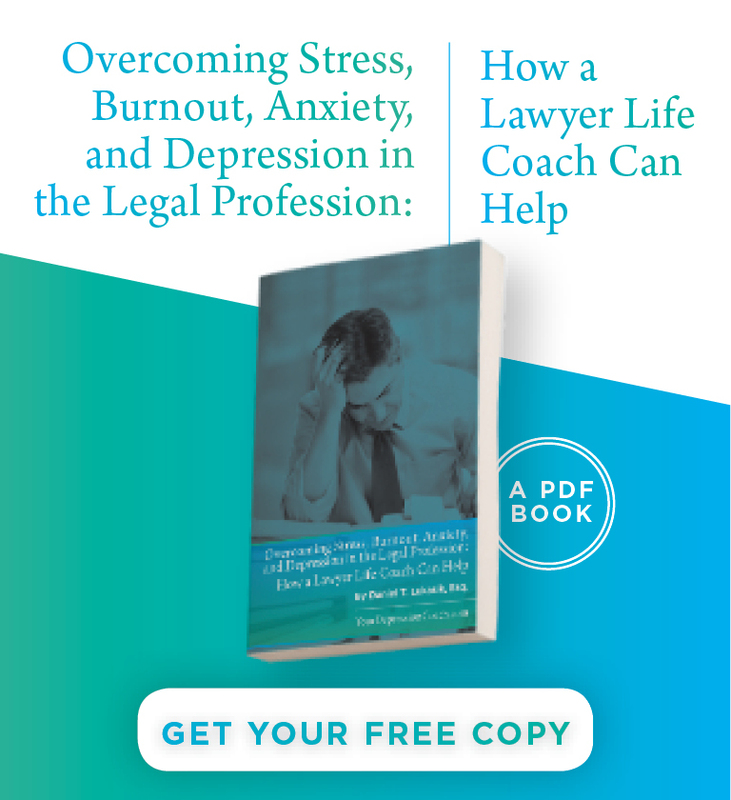 A second psychological factor that demoralizes lawyers, particularly junior ones, is low decision latitude in high-stress situations. Decision latitude refers to the number of choices one has – or, as it turns out, the choices one believes one has – on the job. An important study of the relationship of job conditions with depression and coronary disease measures both job demands and decision latitude. There is one combination particularly inimical to health and moral: high job demands coupled with low decision latitude. Individuals with these jobs have much more coronary disease and depression than individuals in other three quadrants. Nurses and secretaries are the usual occupations consigned to that unhealthy category, but in recent years, junior associates in major firms can be added to the list. 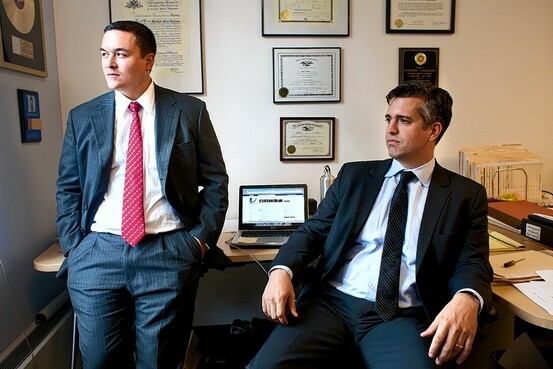 These young lawyers often fall into this cusp of high pressure accompanied by low choice. Along with the shared load of law practice (“this firm is founded on broken marriages”), associates often have little voice about their work, only limited contact with their superiors, and virtually no client contact. Instead, for at least their first few years of practice, many remain isolated in a library, researching and drafting memos on topics of the partners’ choosing. The deepest of all the psychological factors making lawyers unhappy is that American law is becoming increasingly a win-loss game. 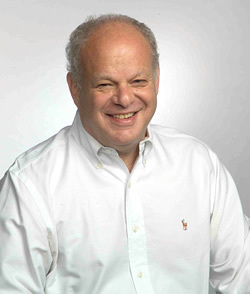 Barry Schwartz distinguishes practices that have their own internal “goods” as a goal from free-market enterprises focused on profits. Amateur athletics, for instance, is a practice that has virtuosity as its good. Teaching is a practice that has learning as its good. Medicine is a practice that has healing as its good. Friendship is a practice that has intimacy as its good. When these practices brush up against the free market, their internal goods become subordinated to the bottom line. Night baseball sells more tickets, even though you cannot really see the ball at night. Teaching gives way to the academic star system, medicine to managed care, and friendship to what-have-you-done-for-me-lately. American law has similarly migrated from being a practice in which good counsel about justice and fairness was the primary good to being a big business in which billable hours, take-no-prisoners victories, and the bottom line are now the principle ends. Practices and their internal goods are almost always win-win-games: both teacher and student grow together, and successful healing benefits everyone. Bottom-line businesses are often, but not always, closer to win-loss games: managed care cuts mental health benefits to save dollars; star academics get giant raises from a fixed pool, keeping junior teachers at below-cost-of-living raises; and multi-billion dollar lawsuits for silicon implants put Dow-Corning out of business. There is an emotional cost to being part of a win-loss endeavor. In Chapter 3 of my book, I argue that positive emotions are the fuel of win-win (positive-sum) games, while negative emotions like anger, anxiety, and sadness have evolved to switch in during win-loss games. To the extent that the job of lawyering now consists of more win-loss games, there is more negative emotion in the daily life of lawyers. Win-loss games cannot simply be wished away in the legal profession, however, for the sake of more pleasant emotional life among its practitioners. The adversarial process lies at the heart of the American system of law because it is thought to be the royal road to truth, but it does embody a classic win-loss game: one side’s win equals exactly the other side’s loss. Competition is at its zenith. 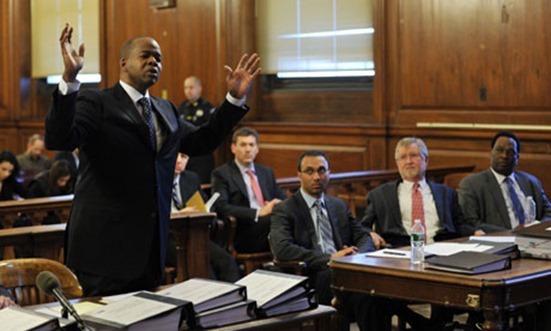 Lawyers are trained to be aggressive, judgmental, intellectual, analytical and emotionally detached. This produces predictable emotional consequences for the legal practitioner: he or she will be depressed, anxious and angry a lot of the time. Pessimism, low decision latitude, and being part of a giant win-loss enterprise. The first two each have an antidote. Chapter 6 of my book details a program for lastingly and effectively countering catastrophic thoughts. More important for lawyers is the pervasive dimension-generalizing pessimism beyond the law – and there are exercises in Chapter 12 of my book, Learned Optimism that can help lawyers who see the worst in every setting to be more discriminating in the other corners of their lives. The key move is credible disputation: treating the catastrophic thoughts (“I’ll never make partner,” “My husband is probably unfaithful”) as if they were uttered by an external person whose mission is to make your life miserable, and then marshaling evidence against the thoughts. These techniques can teach lawyers to use optimism in their personal lives, yet maintain the adaptable pessimism in their professional lives. It is well documented that flexible optimism can be taught in a group setting, such as a law firm or class. If firms and schools are willing to experiment, I believe the positive effects on the performance and moral of the young lawyers will be significant. As to the high pressure-low decision latitude problem, there is a remedy as well. I recognize that grueling pressure is an inescapable aspect of law practice. Working under expanded decision latitude, however, will make young lawyers both more satisfied and more productive. One way to do this is to tailor the lawyer’s day so there is considerably more personal control over work. Volvo solved a similar problem on the assembly lines in the 1960’s by giving its workers the choice of building a whole car in a group, rather than repeatedly building the same part. Similarly, a junior associate can be given a better sense of the whole picture, introduced to clients, mentored by partners, and involved in transactional discussions. Many law firms have begun this process as they confront the unprecedented resignations of young associates. The zero-sum nature of law has no easy antidote. For better or for worse, the adversarial process, confrontation, maximizing billable hours, and the “ethic” of getting as much as you possibly can for your clients are much too deeply entrenched. More pro bono activity, more mediation, more out-of-court settlements, and “therapeutic jurisprudence” are all in the spirit of countering the zero-sum mentality, but I expect these recommendations are not cures, but Band-Aids. I believe the idea of signature strengths, however, may allow law to have its cake and eat it too – both to retain the virtues of the adversarial system and to create happier lawyers. When a young lawyer enters a firm, he or she comes equipped not only with the trait of prudence in lawyerly talents like high verbal intelligence, but with an additional set of unused signature strengths (for example, leadership, originality, fairness, enthusiasm, perseverance, or social intelligence). As lawyers’ jobs are crafted now, these strengths do not get much play. Even when situations do call for them, since the strengths are unmeasured, handling these situations does not necessarily fall to those who have the applicable strengths. Every law firm should discover what the particular signature strengths of their associates are. Exploiting these strengths will make the difference between a demoralized colleague and an energized, productive one. Reserve five hours of the work week for “signature strength time,” a non-routine assignment that uses individual strengths in the service of the firm’s goals. There is nothing particular to the field of law in the re-crafting of jobs. Rather, there are two basic points to keep in mind as you think about these examples and try to apply them to your work setting. The first is that the exercise of signature strengths is almost always a win-win game. When Stacy gathers the complaints and feelings of her peers, they feel increased respect for her. When she presents them to the partners, even if they don’t act, the partners learn more about the morale of their employees – and of course, Stacy herself derives authentic positive emotion from the exercise of her strengths. This leads to the second basic point: There is a clear relation between positive emotion at work, high productivity, low turnover and high loyalty. The exercise of a strength releases positive emotion. Most importantly, Stacy and her colleagues will likely stay longer with the firm if their strengths are recognized and used. Even though they spend five hours each week on non-billable activity, they will, in the long run, generate more billable hours. Law is intended as but one rich illustration of how an institution (such as a law firm) can encourage its employees to re-craft the work they do, and how individuals within any setting can reshape their jobs to make them more gratifying. To know that a job is a win-loss in its ultimate goal – the bottom line of a quarterly report, or a favorable jury verdict – does not mean the job cannot be win-win in its means to obtaining that goal. Competitive sports and war are both eminently win-loss games, but both sides have many win-win options. Business and athletic competitions, or even war itself, can be won by individual heroics or by team building. There are clear benefits of choosing the win-win option by using signature strengths to better advantage. This approach makes work more fun, transforms the job or the career into a calling, increases flow, builds loyalty, and it its decidedly more profitable. Moreover, by filling work with gratification, it is a long stride on the road to the good life. © by Martin Seligman. Reprinted with permission from the author.